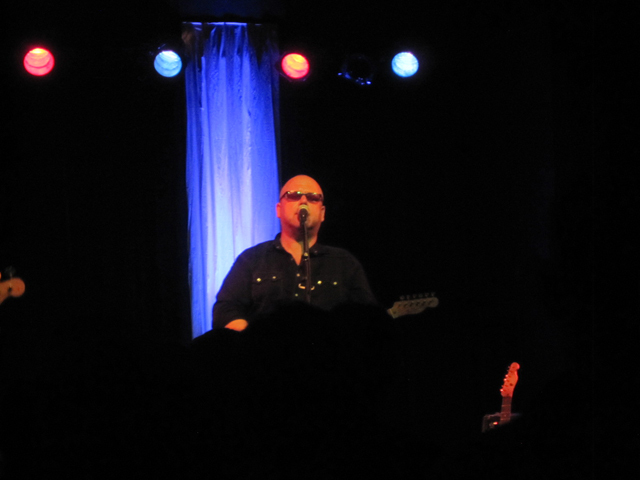 Last Friday night, Black Francis came to town. You know who he is, right? For those of you that already know, let the newbies have their two minutes to catch up. Black Francis, born Charles Michael Kittridge Thompson IV, is the lead singer of a band called The Pixies. After the Pixies broke up in 1993, he went solo where he went by the name of Frank Black [a reverse play on his stage name]. Since 2004, The Pixies have reunited and play live shows every so often. In between those shows, Mr. Francis takes the stage solo, performing music he’s made outside of the Pixies [as well as some Pixies songs, too]. The show started at 9pm with an opening act [a hippie guitarist named Dave Williams]. 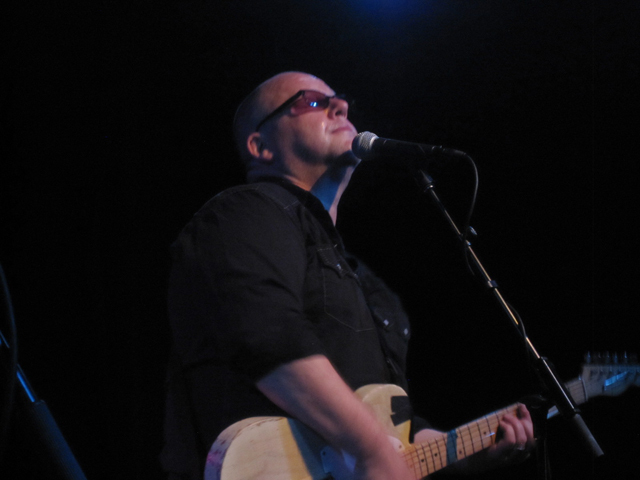 Once Black Francis took the stage, he started off with some stage banter about how grateful he was to be here again. Someone from the audience yelled “Urban Lounge” when Black asked how long ago it was he had been to Utah. This particular tour is a moving tour. 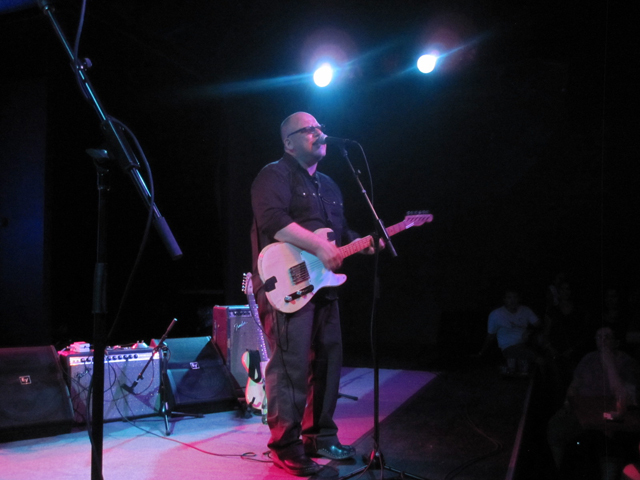 For the last 20 years, Black Francis and his family have lived in Oregon. He’s making his way cross country back to his home of Massachusetts, stopping every so often and playing a club date. He talked about playing some Pixies songs first… “to get them out of the way, well not really… but you know what I mean, right?” Yes, we do. He pretty much pulled from most of his catalog of songs all night. I was hoping to hear “Headache“ a rousing song from his album “Teenager Of The Year”, but alas, it was not to be. But no complaints. All three solo entities were represented here, including a couple tracks from his stint with the short-lived backing band, The Catholics. 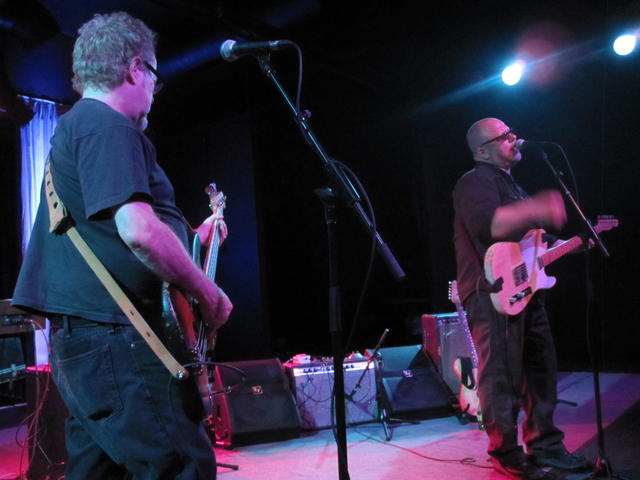 And a bit after midnight, Black strummed that final chord and left the stage. No encore needed. 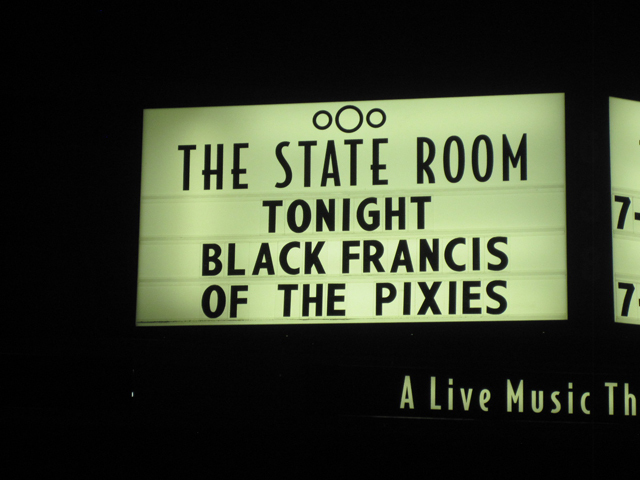 If you are a Pixies fan and Black Francis (or Frank Black) comes to town and plays a small club (The State Room holds 300 people), go treat yourself. I’ve seen him three times solo now and it’s worth it. Of course, a Pixies show is the ultimate experience for anyone [which I’ve experienced only once in 2004]. Biased much? Why yes I am. I saw the Pixies a couple of times before they broke up that first time around. 1991-ish. Trompe le Monde-ish. Always will be one of my favorite bands. Wow. an early Pixies fan who actually saw them (I wished I would have). I hope he stops in here somewhere!! Yes, that would be cool if he came to your town. Pixies FTW. The Pixies are one of my favorite bands, and I also have a soft spot for The Breeders too. 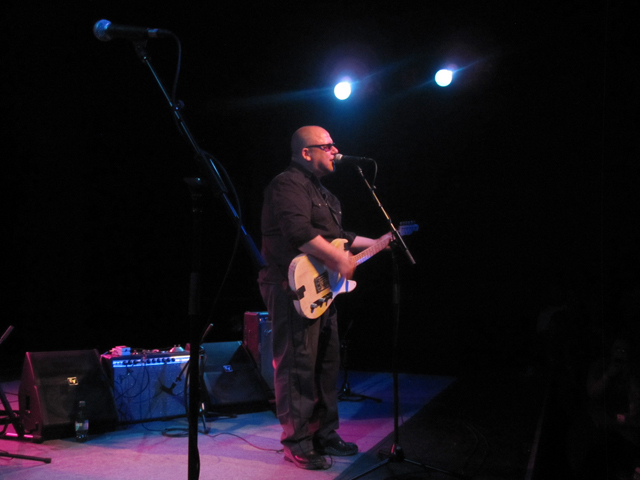 But for whatever reason I seem to have totally overlooked any of Frank Black’s solo stuff. Must fix that. I missed seeing The Breeders in 1993 (who were the opening band for Nirvana, who I also missed). Kim Deal doesn’t move around much on stage, but has that stage presence and voice. First album to listen to for Frank Black is his self-titled solo album from 1993. Great stuff.